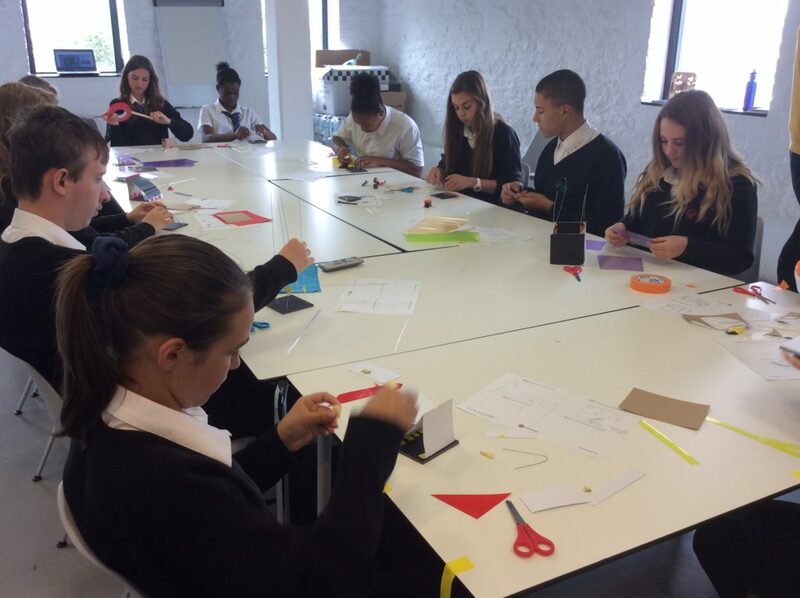 On 16 July the Build Your Own Pavilion tour headed from the Liverpool waterfront to a Somerset one, with the fourth workshop taking place at the Arnolfini in Bristol. 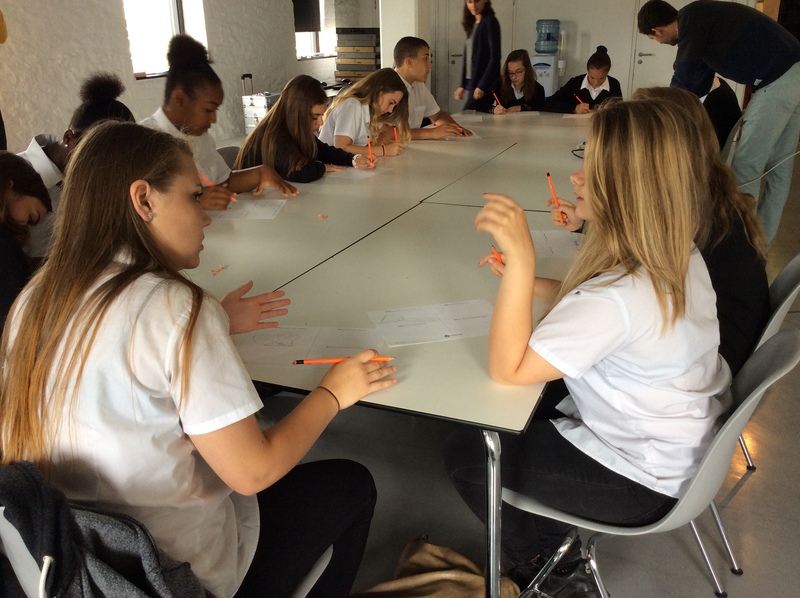 After meeting the team Katy, Nicola, Ben, Georgina, Kastina, Summer, Mahalia, Megan, Chayla, Megan, Katie, Theo and Abigail from Hanham Woods Academy settled themselves into the gorgeous workshop space overlooking the harbourside to start work. With the design brief in front of them (which you can find in our resources pack on the ‘What is a Pavilion?’ page) the students began looking around for inspiration and brainstorming. “I was looking for ideas and I saw a water machine,” Ben said, “so that became my base.” Slowly other Pavilions began to take shape with locations including by the harbourside or on a beach and questions such as – ‘could you design a Pavilion that floated on water?’ being asked (we think yes and we’d love to see it!). 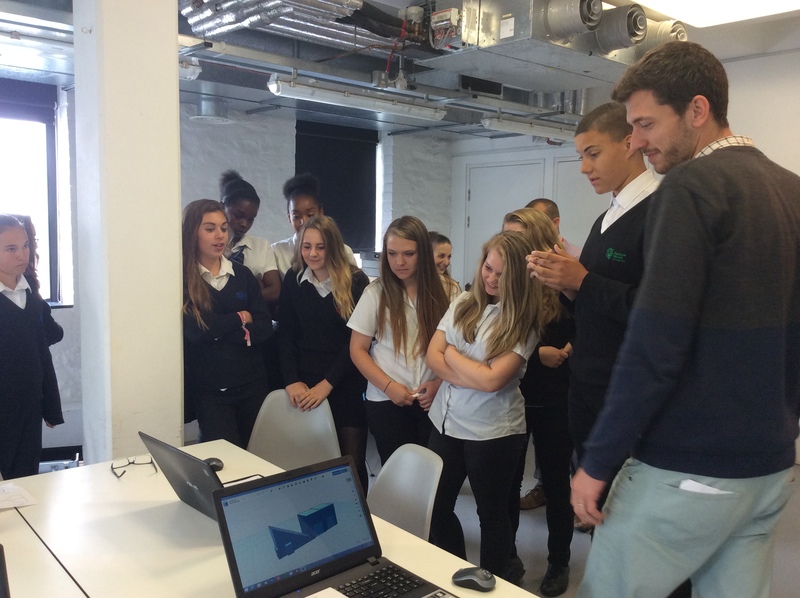 After sketching and putting their drawings into the 3D CAD programme the group went around to ‘critique’ each other’s designs. This is a feedback process where people contribute thoughts on each other’s work. Architecture students do this while training with their tutors and peers and it is a great way to hone a design and share skills. Many of the models made explored the different properties of wire as a structural base and surface textures were experimented by drawing on the models. Colour was used to explore how the Pavilion would emotionally effect people . You can see all the results on the ‘Your Pavilions’ page. 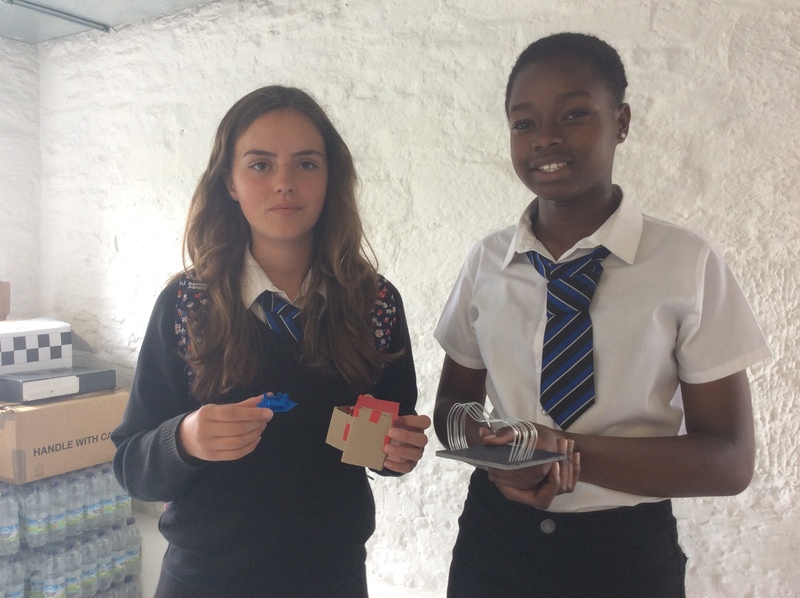 Mahalia and Megan (below with their models) worked together to create a Pavilion, which incorporated Mahalia’s curved entrance and Megan’s cubic structure. It combined undulating organic shapes with sharp geometric lines and was chosen by the group to be 3D printed.